Quote End of The World “What are your feeling on the end of the world? Do you think it’s near? What would you do if you knew the end was coming for sure in the next 24 hrs.? ” I just want to know. And for the person who Googled, “Is the World really going to end or is this a lie?” I promise you, one day your world will end. The world will likely continue to go on. Really, do people think that they are going to find those answers on the internet? 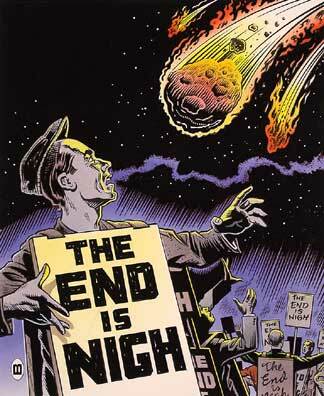 Some Doomsday group out in California said that today was going to be the end of the world. It’s just a poorly conceived hypothesis. Like gravity. I think I would, you know, tell a lot of secrets. Cause there are some things you want no one to know but it wouldn’t matter anyways.